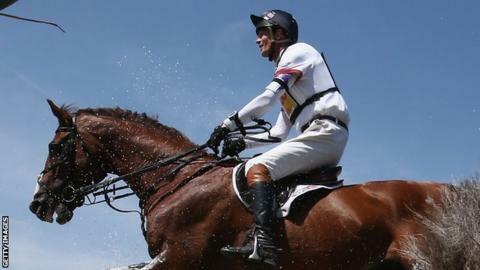 British eventer William Fox-Pitt is in a "stable" condition in a French hospital after suffering a fall on the cross-country course during the World Young Horse Championships. A statement said the 46-year-old had suffered a "head trauma" after falling from his horse Reinstated, which was unharmed, on Saturday. "He has undergone tests and will remain sedated under observation," it added. His haul includes three Olympic team podium finishes and six European team gold medals for Great Britain. Fox-Pitt, who is based at Sturminster Newton in Dorset, was competing in the seven-year-old class at Le Lion-d'Angers.